South Africa’s finances are in good health. A budget deficit of 4.6 per cent of GDP is projected in 2012/13. We plan to reduce the deficit to 3 per cent of GDP in 2014/15, and public debt will stabilise at about 38 percent of GDP. An expansion in infrastructure investment is one of the central priorities of the 2012 Budget. Special emphasis is given to improving competitiveness in industry, investment in technology, encouragement of enterprise development and support for agriculture. Total spending will reach R1.1 trillion next year, representing some 32 per cent of GDP. Education, health and social assistance will remain the largest categories of expenditure, sustaining and expanding the social wage over the MTEF period ahead. Investment in people is at the centre of our growth and development strategy. The budget continues to support job creation, with a particular focus on unemployed youth. 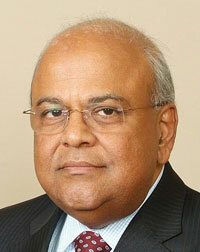 The budget provides for personal income tax relief of R9.5 billion, with further measures to increase tax compliance. Measures are proposed to invigorate household savings. We will strengthen financial management in the public sector, pursue value for money with the greatest possible vigour and ensure that taxpayers’ money is well used. Fraud and corruption will be combated through changes to procurement policies and practices and tough enforcement of the law. R9.5 billion for the Economic Competitiveness and Support Package, including R2.3 billion for dedicated special economic zones. R6.2 billion for job creation. R3 billion for equalisation of subsidies to no fee schools and expansion of access to Grade R schools. R1 billion for National Health Insurance Pilot project. R1.4 billion for Early Childhood Development. R4 billion for Passenger Rail Agency of South Africa for coaches, as the start of a programme to replace the current fleet. R1 billion for Signalling and depot infrastructure related to this new rail transport programme. R4.7 billion for Electricity demand side management grant: Eskom for the installation of solar water geysers. R1.8 billion for municipal water infrastructure. R3.9 billion for upgrading informal settlements. All in all the budget is within expectations, conservative enough to satisfy capitalist interests, sufficiently socially aware to mollify socialists within our society. We at AndNowComrade would have preferred to see much more done for the elderly - at least a tripling in levels of pension grants for a start, and broadening of the social net for the unemployed. We would also have preferred to see a reduction in fuel and electricity levies, as these impact the poorest the hardest. We are pleased to see however the increased taxation on the wealthy, although we consider it could have gone further. Capital Gains Tax could have been increased to 20% above a certain level, Tax in Dividends could have similar been raised to 20% or higher (and an exemption allowed for pension funds and similar). What we would really have liked to see is a measure to control South African Companies that sell out to foreign control taking the cash raised offshore. We believe cash raised by selling out to foreign investors should remain and be re-invested in South Africa or subjected to punitive tax of 60% to 70%. Recent sell out of shares has provided no benefit to South Africa's economy as too often the cash raised is invested offshore.